Our website is a work in progress...if you have any problems please let us know. Our story with goats began for the health benefits of raw milk. My Grandson was not able to process any of the available formulas. Our goat’s milk is also used to make products such as: cheese, kefir, yogurt, ice cream, soaps and more. 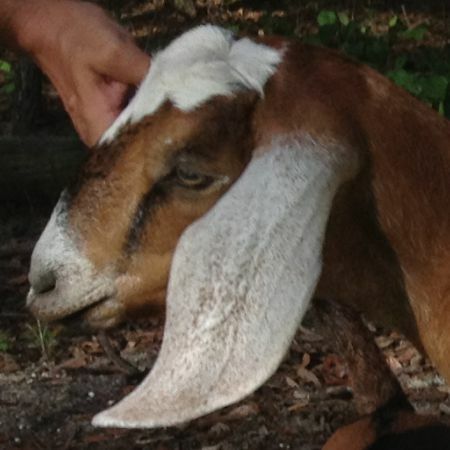 We are licensed with the State of Florida to sell our Goats milk for pet consumption. The real reward in raising goats is seeing the happiness of our animals. Through hard work and dedication we strive to maintain our goats optimal health. Our goats are fed perennial peanut hay, tifton 44, grain mixture, black oil sunflower seeds, shredded beet pulp, and a variety of special minerals are offered free choice. We try to practice holistic medicine when possible as we feel nature is best for healing. In our own management experience, we have been successful in raising healthy animals. Our goats are offered everything they need to live a long, healthy life. We strive to breed for dairy strength, longevity, productivity, and an animal with a sweet temperament. 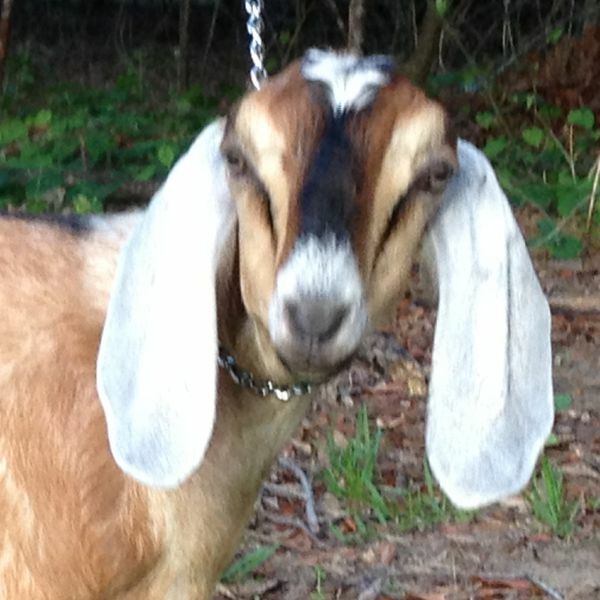 Our goats have tested Negative for (CAE) CAPRINE ARTHRITIS ENCEPHALITIS, JOHNE’S DISEASE,\ Q - FEVER, and TOXOPLASMOSIS. These and other test are provided as needed. 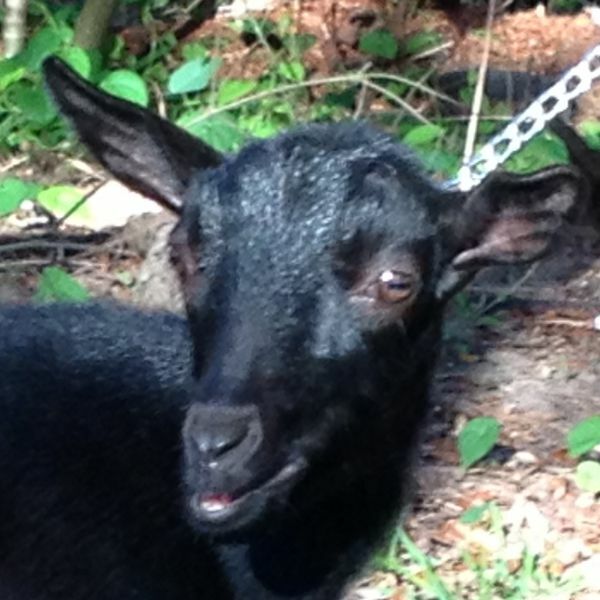 We raise our goats for Dairy, Show and Pets. We don’t offer any of our animals for human consumption. Here are some of our Beautiful Goats! * Goat’s milk is easily digestible and less allergenic than cow’s milk. Goat’s milk is also higher in Calcium, Vitamin A and Niacin than cow’s milk. * Worldwide, more people drink milk from goats than any other animal. * Goat’s milk is naturally homogenized and it can be digested in less than 10 minutes whereas cow’s milk can take almost all day. We also subscribe to many of the wholistic health approach philosophies of Fiasco Farms. Our goats are on Molly’s (Fiasco Farms owner) herbal de-wormer program, which has led me to subscribe to many of the other ways Molly treats her goats. Using Molly’s dewormer, we not only have a low worm load in our goats, horse, chickens, dogs, cats, etc. Their coats are so soft and shiny. We are a believer in Molly’s herbs. All our animals including the babies get their herbs weekly. We also do use chemical de-wormers when needed. When given we are about the 10 days, 10 days, then given again in 10 days. They are also fed the best quality Perennial Peanut hay we can buy, along with a nice grass hay. Each one is given grain while we milk her. The amount of grain is based on her milk output. Our barn area is cleaned out daily and disinfected in the ways we chose. 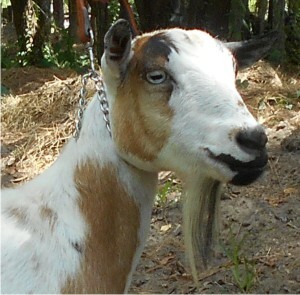 Urine in the barn can make for some very unhealthy breathing for goats. So, we do our best to keep it safe. The girls are given fresh water every morning and checked in the evenings additionally whenever needed. Yes, it’s a lot of work, but so enjoyable and we love our animals. We never handle our goats’ teats without first washing and sanitizing our hands and their udders first. Cleanliness is key to a healthy goat. And we keep them up to date on their tetanus boosters. As noted above ALL OUR HERD TESTED NEGATIVE for: (CAE) CAPRINE ARTHRITIS ENCEPHALITIS, JOHNE'S DISEASE, Q-FEVER, and TOXOPLASMOSIS.